On 18 December, the National Bank of Ukraine (NBU) filed a claim with the Tribunal de Premiere Instance in Geneva against a former shareholder of PrivatBank Ihor Kolomoyskyy for 6.64bn hryvnyas. It said on its website that the claim was filed according to the place of residence of the former shareholder. It aims to collect Ihor Kolomoyskyy’s debt as the guarantor to the NBU under private sureties issued in 2016 in respect of five agreements to provide refinancing loans to the bank. According to Swiss law, the filing of a claim is the next stage in the Court’s consideration of the case initiated in June to the Tribunal de Premiere Instance in Geneva. "The Swiss judiciary system requires filing a request of conciliation before the formal claim and the NBU did so in the early June. Since all efforts of the NBU to settle all issues regarding the discharge of Ihor Kolomoyskyy’s debt under refinancing loans out-of-court failed, the regulator regrettably was forced to file a claim according to the timeframe set out by the Swiss judiciary system in order to protect its legal interests," noted Viktor Hryhorchuk, Head of Litigation Office of the NBU Legal Department. We would like to note that in early June the NBU filed 147 claims in the Ukrainian courts against Kolomoyskyy and 32 related companies as property surety providers. This was done in order to commit Ihor Kolomoyskyy to discharge assumed liabilities under private sureties. As of 18 December, business courts have already passed 20 decisions in favour of the NBU on foreclosure of the mortgaged property under liabilities of PrivatBank of 1.2bn hryvnyas. The NBU stresses that 17 of 20 court decisions have entered into force and on 14 cases executive orders were filed to the State Enforcement Service for enforcement purposes. 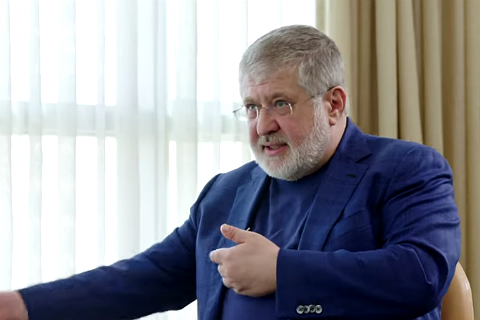 "The NBU is ready to defend its legal rights and interests, including in legal actions filed against Ihor Kolomoyskyy in Ukraine and other jurisdictions, in order to bring him to justice for liabilities he has assumed under surety agreements. These claims are yet another important step towards protection of interests of Ukrainians and ensuring discharge of liabilities assumed by the former shareholders of PrivatBank," added Viktor Hryhorchuk. The NBU believes that both Swiss and Ukrainian courts will satisfy justified claims of the NBU.